I have been seeking the truth about Wyatt Earp since 1959 when my grandmother told me the real Wyatt Earp was the biggest jerk who ever walked the West. I was stunned by the discrepancy between my favorite tv show, "The Life & Legend of Wyatt Earp" starring Hugh O'Brian, and my grandmother's body slam of said Legend as being untrue. 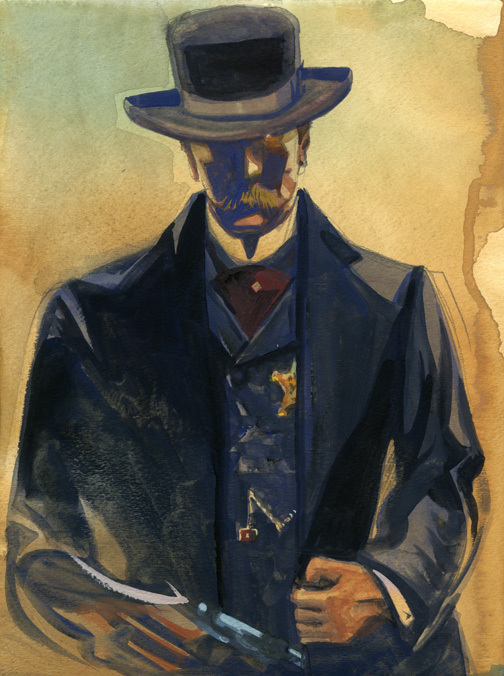 Fast forward a quarter century and the question became this: was Wyatt Earp a stalwart lawman, or a low life pimp? I would argue he was both, but there are advocates for Mr. Earp who favor the former and dismiss the latter "profession" as, fake news. And, by the way, today is Wyatt's birthday, March 19. What I have learned over the last sixty-some-odd years is that there is more than one truth about each and every event and person who ever walked the stage we know as the Old West. • We have a tendency to select the truths that align with our belief systems and ignore, or deny the rest. • Nothing changes more than the past. Things we believed to be true are disproven, or changed, almost daily. For example, did van Gogh cut his ear off and gift it to a prostitute? That's what I have read all of my life, until today, when I read a new version that claims van Gogh actually lost his ear in a heated argument with his fellow artist and housemate Paul Gauguin, who was a fencer, and severed Vincent's ear off with his sword and van Gogh tried to protect his friend with the "false" story. "Happy is the one who is taught by the truth." There is a new book out about "Truth" by Hector MacDonald and many of the statements and claims apply to the study of history. "Most of what we assert to be true — in politics and in other realms of experience — is in fact just partial and selective truths, shaped consciously or unconsciously by our attachments, beliefs, wishes and preferences." "Very few statements or beliefs in this world can be pinned down as unmistakably true. Even expert opinion by historians can be open to question or rival interpretations. In the seventies we had, "unearned righteousness superseding patient argumentation. That was the era that first popularized the grating phrase 'speak my truth,' which ironically undermines its own demands to be heard with its implicit relativism." "There is more than one truth about most things. Eating meat is nutritious but it’s also damaging to the environment. The Internet disseminates knowledge but it also spreads hatred. As communicators, we select the truths that are most useful to our agenda." Sadie Pearl in the boot-heel of New Mexico. 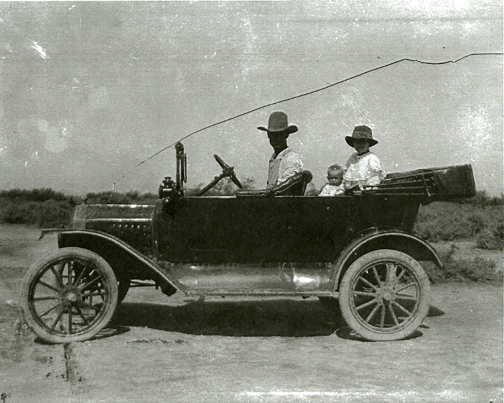 One final note: my grandmother, Louise Guess, lived for a time in the Steins Pass, Animus Valley area of New Mexico, which is right across the border from Arizona (for a short time, they lived in Rodeo, New Mexico, which is right on the line). She, and my grandfather, Bob Guess, were there in the early part of the Twentieth Century and many of the cow-boys who participated in the Tombstone dramas of the 1880s were still alive and had many things to say about the "carpetbagging" Earps. In fact, if you go out into that area today, you will still find it hard to find a cow-boy who has nice things to say about the Earps. "One of the problems in this world is that everyone is about half right." Tremendous blog... and starting with Wyatt Earp. 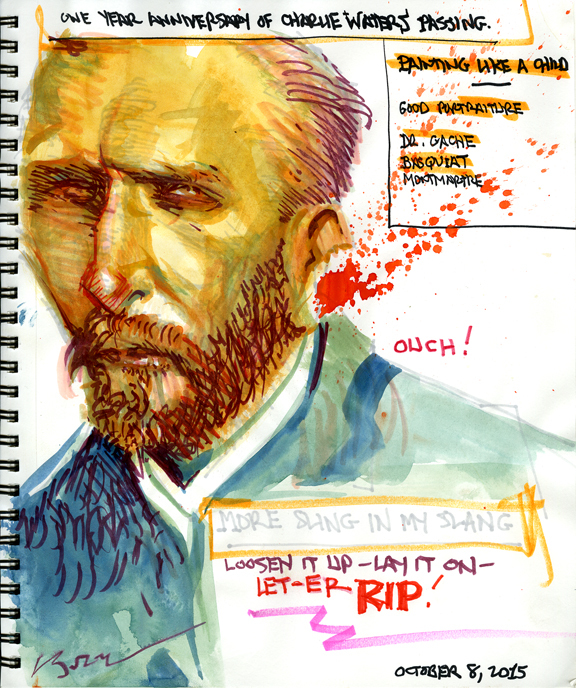 Great: Earp and Van Gogh and the suffering truth of history. Yes, that is the version I have always heard, but now we have this new theory and that is my point. It never stops.